Senior stipendiary steward William Nunneley and Jamie Stier, director of Raceday Operations and Regulation at the BHA both appeared on TV today to defend the procedure used in the bypassing of the last fence in the Queen Mother Champion Chase. The summary of both interviews was that the regulations were carried out in a proper fashion and that ‘the jockeys had their heads down’. The markers were originally set out equally spaced, with gaps, across the fence: how soon after that they were moved to the position designated above, I don’t know. The annex (C) to the document explains the duties in more detail. 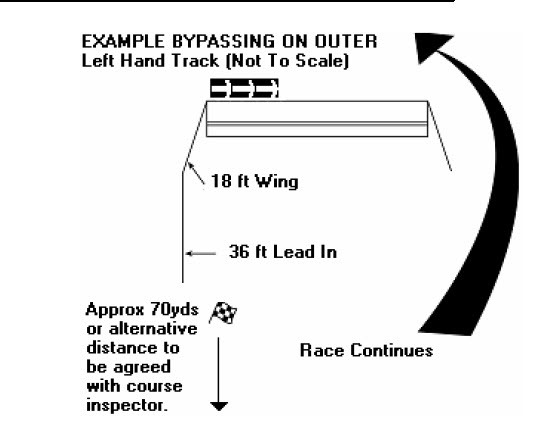 It is difficult to tell from TV footage how far from the last fence the flag was waved – I estimate it to be about ten horse-lengths, nothing like the 70 yards laid down in the document although a graphic offers some leeway on this 70 yard rule (I can find this leeway exemption only on the graphic and not as part of the document text). Mr Nunneley and Mr Stier both justified the moving of the markers to the inside by mentioning the importance of protecting the vulnerable from a loose horse. In fact, that clustering of markers is what BHA procedure decrees. But what is wrong with increasing the number of markers available at each fence, or, indeed, dolling the fence off fully with cones, so that jockeys are left in no doubt? The Fox whistle is one used by referees of football matches among other personnel. I cannot comment on its effectiveness pitted against the noise of 50,000 punters yelling encouragement at two strongly fancied horses – especially when the whistle is not blown 70 yards away from the obstacle. Ed Gillespie’s team normally do a superb job. As I said at the time of the Cross Country debacle in December, they should have put up their hands and agreed to ensure the course was signed and marked much more effectively. The executive did not agree and stated that they believed there was no fault on their part. Everyone makes mistakes but racing is developing a ‘circle-the-wagons’ attitude that serves neither them nor the sport well. An apology goes a long way with most people. Sorry shouldn’t be the hardest word. The Racing Post will publish Willie Mulllins’ thoughts on his festival team tomorrow. The Kremlin’s top inquisitors would baulk at getting anything out of Mr Mullins but on the off chance that he offers a positive word for Gold Cup entry Quel Esprit, I’m advising a bet at the 16s currently available NRNB. Quel Esprit does not have the form to win a Gold Cup. But he’s improving, is unbeaten in the 4 completions (of 7 ‘chases), was leading, travelling strongly in last year’s RSA when coming down three out and might well have won had he stood up. It was a weak Grade 1 he picked up last time but his jumping was very slick bar a slight error at the 7th. He races quite keenly and I think he benefited considerably from being allowed to stride on early last time. Hopefully P Townend will adopt the same tactics next Friday – the grey is a most efficient fencer, very quick from one side to the other. Stamina is a question but I’m happy, at the price, to risk that he will set up a lead and hold onto it travelling well on the likely good ground. Long Run’s dodgy jumping, Kauto’s confidence, age and interrupted prep might leave this Gold Cup vulnerable to an improver. Weird Al was the value a few months back (tipped here at 20s) but I believe Quel Esprit is the best value bet now. The RSA chase result might hinge on the participation of current favourite Grands Crus, around 2/1 for the race just now. But there must be a reasonable chance he will miss the race for the Gold Cup. Even if he doesn’t, his freegoing style could see him emptying up the hill. Bobs Worth is 2nd fav, at around 3/1. His official rating (a professional handicapper’s assessment of his ability) is 151. Cannington Brook (CB) who is rated 1lb inferior at 150 is a 50/1 chance (non-runner, money back with Coral) and that simply must be taken by anyone who places value at the heart of their betting strategy. Last time out CB won a 20 furlong race by 35 lengths. Before that he was 5th in the Welsh Grand National, a fine run in stamina-sapping conditions, especially coming just ten days after CB’s victory in the Tommy Whittle ‘chase at Haydock. These last three runs have been in heavy ground and I guess the bookmakers have him down as a slowcoach handicapper. This was a fine effort from Cannington Brook, who started out the season over fences. Easy winner of a weak maiden hurdle at Ludlow latest, he is highly regarded by his trainer and showed why here, leading up the chasing pack and travelling well into the straight, but just lacking a telling change of pace on the ground. He could go a long way returned to fences next term. The form comments of the first seven of his chase runs are peppered with ‘mistake’, ‘blundered’, ‘not fluent’, but he has been error-free in his last three runs and seems to be improving with every race. His trainer, Colin Tizzard has been in sizzling form of late and given that Grands Crus might not turn up, Bobs Worth is probably over-rated as a fencer (and certainly under-priced), the Irish star Bog Warrior is reportedly staying at home, and the fancied Invictus is out with an injury, Cannington Brook’s price looks a major rick by Coral (Ladbrokes go 25s). CB holds entries in two handicaps as well, but his twin attributes of speed and stamina, allied to his improved jumping, give him a fine chance in the RSA in my opinion. Let’s hope he lines up there and lands the value bet of the festival. Defending champion Sizing Europe is one of 10 horses to stand their ground in the £320,000 sportingbet.comQueen Mother Champion Chase (3.20pm), the feature on Ladies Day at The Festival, Wednesday, March 14, following today’s six-day confirmation stage. The Henry de Bromhead-trained 10-year-old was an emphatic five-length winner of the two-mile chasing championship last season and this year he will be bidding for his third consecutive success at The Festival after taking the Racing Post Arkle Chase in 2010. He has been in fine form this season, winning three of his four starts including last time out when he slammed his old rival Big Zeb by 15 lengths in the Grade Two Tied Cottage Chase at Punchestown on February 5. Prior to that he had put the cream of the British two-mile chasers in their place with an imperious eight-length victory in the Sportingbet Tingle Creek Chase at Sandown in early December. Sizing Europe is priced at Evens by the race sponsor to win again. Despite that defeat at Punchestown last time, Big Zeb has also been in good form this season, claiming his third Fortria Chase at Navan in November before adding a sixth Grade One to his CV when readily beating Noble Prince in the Grade One Paddy Power Dial-A-Bet Chase at Leopardstown over Christmas. 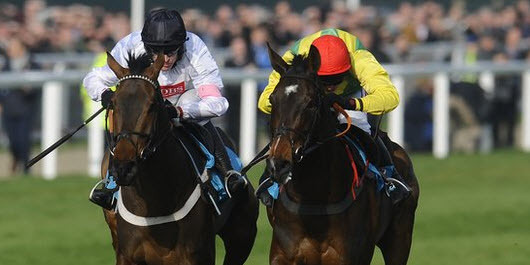 He will be chasing a second victory in the sportingbet.com Queen Mother Champion Chase after capturing the prize in 2010. The Irish could also be represented by another strong contender in the shape of Noel Meade’s three-time Grade One winner Realt Dubh. The eight-year-old has not raced since May, 2011, but he boasts some very smart novice chase form which includes victories in the Irish Arkle and Powers Gold Cup either side of a fine third in the 2011 Racing Post Arkle Chase at The Festival. Meade, based in Co Meath, said: “Realt Dubh is currently 50-50 to run in either the sportingbet.com Queen Mother Champion Chase or the Ryanair Chase. I am not sure yet, but we think he is in great shape and he seems well. We have been really pleased with his work – he worked at Navan on Monday and we were very happy with him. “He had a bit of a setback before Christmas, which took him some time to get over and it held us up so we haven’t had time to run him. “We have often wondered if he would get the full two miles and five furlongs around Cheltenham, hence why he is in the sportingbet.com Queen Mother Champion Chase as well. We are still very much open minded about it and it would also depend on what is going to run in both races. The British challenge could be headed by Somersby, who finally gained his first Grade One success when fighting off Finian’s Rainbow in the Victor Chandler Chase at Ascot in January. Finian’s Rainbow, who finished second in last season’s Racing Post Arkle Chase, had made a successful reappearance at Kempton in the Grade Two Desert Orchid Chase over Christmas, where he narrowly got the better of Wishfull Thinking. Kauto Star’s half-brother Kauto Stone is still engaged despite a disappointing effort in the Betfair Ascot Chase last time, but prior to that he had put up a decent performance behind Sizing Europe in the Tingle Creek Chase, when beaten eight lengths. Irish champion trainer Willie Mullins may run Blazing Tempo, the only mare left in, after her success in the Grade Two Normans Grove Chase at Fairyhouse on January 22. The confirmations are completed by Gauvainand the David Pipe-trained I’m So Lucky. Meade also has a leading chance in the £100,000 Grade One Neptune Investment Management Novices’ Hurdle (2.05pm) in the shape of Monksland, who is one of 34 remaining entries for the two mile, five furlong contest. The five-year-old was an impressive winner of the Grade Two Slaney Novice Hurdle at Naas in January and Meade is very pleased with him. The opening four-mile £75,000 Diamond Jubilee National Hunt Chase (1.30pm), the longest race at The Festival, has 34 horses going forward including antepost favourites Harry The Viking, part-owned by Sir Alex Ferguson and the Willie Mullins-trained pair Allee Garde and Soll. Grands Crus is one of 16 possible runners in the £130,000 Grade One RSA Chase (2.40pm), the extended-three-mile championship for novice chasers. Trained by David Pipe, the grey is unbeaten in three starts over fences, including the Grade One William Hill Feltham Novices’ Chase and still holds an entry in Friday’s Betfred Cheltenham Gold Cup. The £70,000 Coral Cup (4.00pm) is one of the most fiercely competitive handicaps at The Festival and a maximum field of 28 looks assured after 103 entries remain in the two mile, five furlong hurdle, while the £60,000 Fred Winter Juvenile Handicap Hurdle (4.40pm) has 57 horses going forward including Alan King’s Vendor, who is one of three possible starters for the Barbury Castle handler. In the concluding £55,000 Weatherbys Champion Bumper (5.15pm) 25 horses remain and Willie Mullins, who has won the race six times, has left in four horses including leading fancy Champagne Fever. Hot favourite Hurricane Fly, 8/11 with the sponsors, put up a brilliant display to emerge victorious in last season’s £370,000 Stan James Champion Hurdle (3.20pm) and this year he is one of three entries remaining for Ireland’s champion trainer Willie Mullins, who could also saddle Grade One winners Thousand Stars and Zaidpour. Jessica Harrington is set to run Oscars Well, who finished second to Hurricane Fly in the Irish Champion Hurdle on his most recent start. The 12 six-day confirmations also include 2010 victor Binocular, who warmed up for The Festival with an authoritative success in Wincanton’s Kingwell Hurdle, and last season’s JCB Triumph Hurdle hero Zarkandar, successful at Newbury on his seasonal reappearance last month. Kalann, who was an impressive winner over the course and distance in the Masters Holdings Hurdle at The Showcase in October, is likely to take his chance in the Stan James Champion Hurdle according to trainer Sabrina Harty. The outsider finished a respectable second to Zaidpour at Gowran Park on February 18 in a Grade Two contest on his latest start. The Co Kildare handler said: “We are leaning towards the Stan James Champion Hurdle. He has been in good form since Gowran, but he scoped badly afterwards so we put him on antibiotics and he is fine now. The five-year-old has been running well on softer ground since his Cheltenham success, finishing a length and a quarter behind The Real Article at Down Royal in November, before finding the ground too heavy behind Hurricane Fly in the Irish Champion Hurdle. Harty continued: “He is a good ground horse and all his runs in Ireland are on soft ground so we just put a line through them. He has never won on ground with soft in the description. In the Irish Champion Hurdle the ground was yielding the day before but on the day it was almost unraceable, so we just let him hack round and he had had a short break after Down Royal anyway. As well as Zarkandar, Paul Nicholls could saddle Rock On Ruby, who was second to Binocular in the Christmas Hurdle at Kempton last time out, while Greatwood Hurdle winner Brampour is also a possible starter for the champion trainer along with 2009 runner-up Celestial Halo. Donald McCain saddled Peddlers Cross to finish second last year and he could be represented by the front-running Overturn, who gained his first success at Grade One level in the Fighting Fifth Hurdle at Newcastle in November. 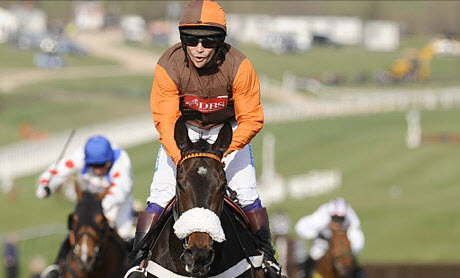 The six-day confirmations are completed by Olofi, who was second behind Brampour in the Greatwood Hurdle in November. The £100,000 William Hill Supreme Novices’ Hurdle kicks off proceedings on Tuesday at 1.30pm, and 33 horses go forward at the six-day confirmation stage. In what looks a wide open renewal, all the leading protagonists have remained engaged including Nicky Henderson’s Darlan and McCain’s Cinders And Ashes, while the two leading Irish hopes Galileo’s Choice and Steps To Freedom also stood their ground. For many Sprinter Sacre is the banker of the meeting in the £130,000 Racing Post Arkle Chase (2.05pm) after three effortless victories at Doncaster, Kempton and last time at Newbury where he broke the track record on the bridle. He could face a maximum of nine rivals including the 2010 Weatherbys Champion Bumper winnerCue Card. A maximum field of 24 for the JLT Specialty Handicap Chase (2.40pm) looks assured after 41 entries remain at the six-day confirmation stage. Hold On Julio, who has been ultra impressive with two victories at Sandown this season, is engaged for Alan King, looking for a second successive win in the race after Bensalem’s gritty victory last year. Quantitativeeasing, winner of the Spinal Research 4Atlantic Gold Cup at Cheltenham in December, has also been confirmed. Quevega heads 24 entries remaining in the Grade Two OLBG Mares Hurdle (for the David Nicholson Trophy) as she chases her fourth consecutive victory in the £70,000 race. Possible challengers to her crown includeAlasi and fellow Irish raider Our Girl Salley. Last season’s Glenfarclas Cross Country Chase (4.00pm) victor Sizing Australia is on course to defend his crown in the £40,000 event, in which 28 horses have stood their ground including previous winners A New Story (2010), Garde Champetre (2009 & 2008) and 15-year-old Heads Onthe Ground (2007). A maximum field of 20 looks guaranteed in the concluding Pulteney Land Investments Novices’ Handicap Chase (5.15pm) with 44 horses still engaged at the six-day confirmation stage. Simon Claisse, Director of Racing and Clerk of the Course at Cheltenham, said today: “We are watering the Old and New Courses over the next three days, so that will take us up to Friday afternoon. “Hopefully, we will have been able to water the ‘good to firm’ out of the ground. NB Races in bold have 48 hours declaration stage – remainder, 24 hours. Most racing journalists seem to have little appetite for tackling Paul Nicholls with the same relish they reserve for some others in racing – like the BHA and its bosses. It’s understandable, to some extent that they don’t want to be banished from the inside track with popular trainers, but Mr Nicholls has enough power in this business in my opinion. A journalist’s job, and instincts, should be to hold him and others to account when the call comes. I thought Lydia Hislop enhanced her already robust reputation by not backing off today when Mr Nicholls pretty much told her to do so. I’m being presumptive in hoping RUK will not object to me reproducing this; if anyone there wants it removed, please get in touch.